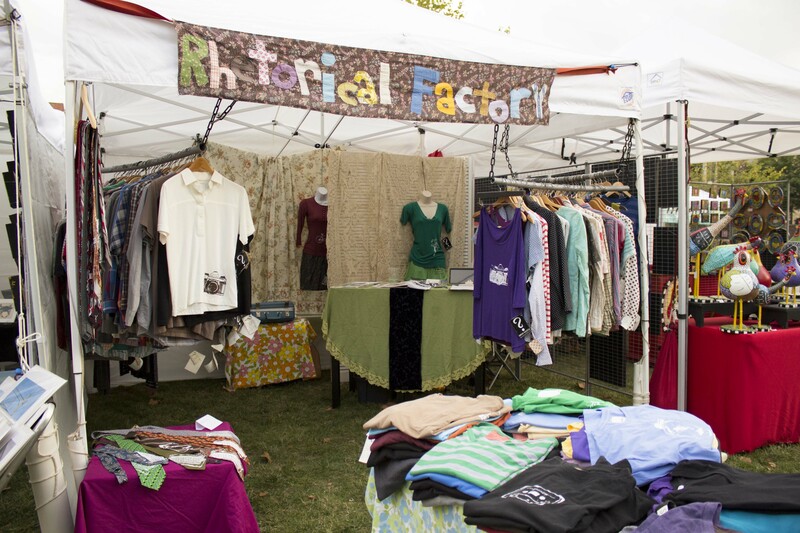 September was a very fun and full month for Rhetorical Factory! The Big Love Festival was great, a huge thanks goes out to everyone who came out and supported us. The arts community in Asheville is so rich in so many ways! Making a condom wedding dress for Planned Parenthood’s "Condom Couture" benefit took 3 days. It was fun to use that concept even though no one actually got married in the dress, and I think it really did turn out beautiful! The best part is seeing what other designers came up with, check out this video! Only two days after the Planned Parenthood Benefit I embarked on a dress for an actual wedding, but this time the dress was mostly green! Dayna Reggero hired me to make her a wedding dress out of leaves. More on that soon. The smell, the light, and the feeling of this air is charming us into all the changes. I think of the book the Alchemist by Paulo Coelho and it seems as though it’s the same wind that has traveled the globe and brought fall back to our doorsteps. October is leaf season and we will be in the studio a lot. Come see us, or send your cousins and great aunt from Florida our way! There is a lot to see in Riverview Station.